Editorial: Saturday the daily newspaper carried another story of stupid on Tulsa City Council no one should ignore. Of course, the paper didn’t print the story from Wednesday’s Council meeting on Thursday or Friday, but waited until Saturday – traditionally the lowest news circulation day. Within the story itself, the City Council and Administration are proven liars and the paper covers, but doesn’t highlight the fact. Let’s do that for them with their own report plus factual history. First facts without dispute: “The City Council passed a resolution on Wednesday at the behest of the Greater Tulsa Area Indian Affairs Commission. “The group had proposed renaming Columbus Day… according to information submitted March 8 for the council resolution. 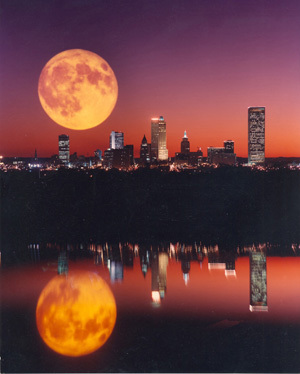 “Some cities have done this, but we are not,” a city spokeswoman told the Tulsa World. “Tulsa is recognizing Native American Day on the same day as Columbus Day but not doing anything to the designation of Columbus Day,” as the Tulsa World published (click on the link for original posting). First, know a “city spokeswoman” is dodging or embarrassed by the truth when she doesn’t allow the paper to print her name. There are not that many city spokeswomen and all of them are well known to reporters and editors. 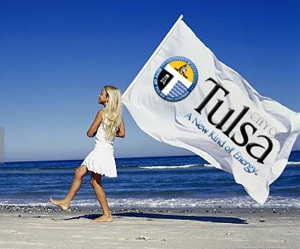 Second, this snowflake political correctness notwithstanding, Columbus Day is a national holiday – the Tulsa City Council has no jurisdiction over that naming. Third, you can see disingenuousness. The PDF of the resolution is posted with the Tulsa World story and the interesting part is shown below. The council voted unanimously to approve the resolution. They didn’t even fill out a new form, just scratched a line through “Renaming Columbus Day” and wrote in green ink, “Establishing.” Wow, a differentiation without a difference. In addition to his bad grammar, Anquoe failed to even check Google which notes: Instead of reservations, Oklahoma Indian tribes have tribal jurisdictional areas, with Osage Nation being the one exception. “With the creation of Indian Territory in the 1830s and the implementation of provisions of the Indian Removal Act which brought the members of the Five Civilized Nations to what had been the western portion of Arkansas Territory, all of the land that is now Oklahoma (with the exception of the western panhandle) became the property of the sovereign governments of the Nations, each Nation holding its property in common as had been their former homelands in the Deep South. This Indian Territory differed only in the ethnicity and cultural history of its tribal citizens from other territories such as Arkansas or New Mexico or Colorado. Its creation carried with it the possibility of its evolution into a Native American state. There were no “reserves” or “reservations” among the peoples whose sovereign governments owned this Territory. “The railhead that would anchor the original townsite for Tulsa was planted in a clearing just over the bluff at the bend of the Arkansas River. It was almost two miles from the ceremonial grounds of the Mvskoke-Creek political town of Lochapoka and more than four miles from the ‘regional’ trading post and Star Route Post Office at the Perrymans’ White House farm/ranch. The original plat of Tulsa (land exempted as a townsite from being allotted to Mvskoke-Creek individuals) stopped a half-mile short of including the grounds surrounding the Creek Council Oak. 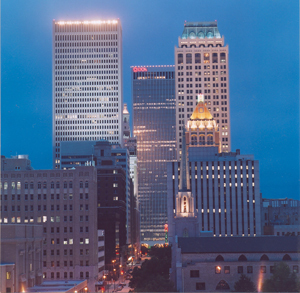 “Tulsa began as a railroad town; it became heavily involved in cattle drives and shipping; it celebrated the discovery and development of petroleum with the discoveries at Red Fork and the Glenn Pool; and it created the Oil Industry banks and the corporations which crafted the art deco offices and amenities which recall the color, culture and exuberance reflected in these architectural treasures,” Breed added. 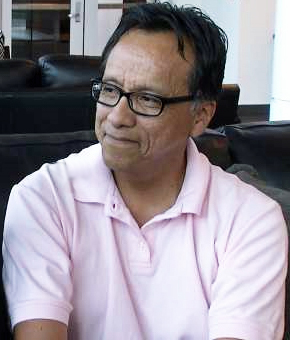 In short, the City of Tulsa was not established on tribal reservation land as Anquoe asserted and he should be removed from his position as vice-chairman of the Greater Tulsa Area Indian Affairs Commission for his demonstrated ignorance of native local history and racialist and divisive public demagoguery which, if they had any self-respect, should deeply embarrass every member of both the City Council and the Indian Affairs Commission. Our Snowflake City Council can’t get the highway lights on, fix the streets with a billion dollars to play with, refuses to cooperate with ICE [Tulsa is a Sanctuary City] and wants to finance hustlers (Gifters or Spangers) who panhandle profit from good-hearted people while giving away riverside park land. Now they want to twist and distort our history? This entire episode is….(censored). Oh yes, a new flag for the city is just the ticket. This entry was posted in Local on September 23, 2017 by admin. Ridiculous? History and even our cherished local history of native people abused and unknown by local officials – of course that is ridiculous. 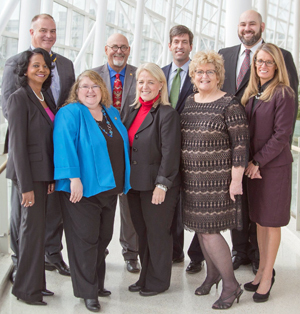 A city council so politically correct and a mayor puppet owned by wealthy Leftists (you guess which ones), that is way so ridiculous in Oklahoma. The council and mayor that can’t get highway lights on or fix the roads or fight crime or issue building permits without a library of regulations or turn illegals over to ICE now that is all ridiculous. Words don’t matter only worshiping at the alter of trendy theatre to distract the unwashed masses from real issues – that, my good reader, is truly ridiculous – beyond Hollywood, it’s mind-numbingly stupid. Not that it’s even a big deal, but Columbus Day is a ridiculous holiday. Don’t be so sensitive.